School Counselor Blog: Diva's Day Out! Life has been crazy for me lately (in a good way!) and I have been trying to play catch up. There are so many things I want to update you on, but I don't know where to start. Diva's Day Out seemed as good of a place to start as any... so... here we go! On May 16th my co-school counselor and I hosted a Diva's Day Out for 4th and 5th grade girls. Diva's Day Out was a big success and girls are still talking about how much fun they had and how awesome it was! Yay! During Diva's Day Out students participated in activities focusing on fitness, nutrition, self-esteem, relational aggression, and body image. 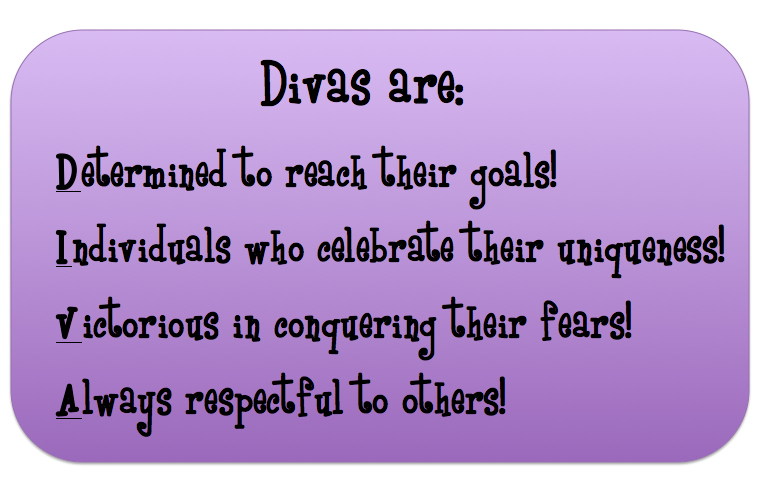 We made up an acrostic for DIVA and what students would learn by participating in the Diva's Day Out activities. 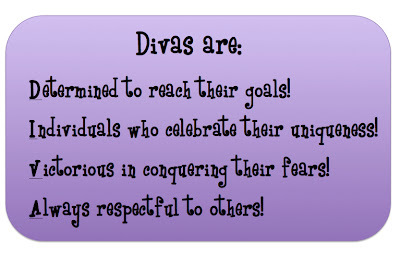 This post is part of a series on a Diva's Day Out program my co-school counselor and I hosted for 4th and 5th grade girls. During Diva's Day Out students participated in activities focusing on fitness, nutrition, self-esteem, relational aggression, and body image. Have you ever hosted a Girls Night Out, Boys Night Out, or single gender event? What types of activities did you facilitate? Anxious to hear how it went and what you did. Thank you for sharing the info. Looking forward to hearing more about Diva's Day Out. Sounds great!